Online access to the interactive whiteboard presentation tools and other digital products for presentation in the classroom. All your digital content, accessible anywhere and anytime. Keep up to date with all the news from the education sector and be the first to know about our teacher training events. Your one-point access for all Cambridge materials, from your computer, laptop or tablet. 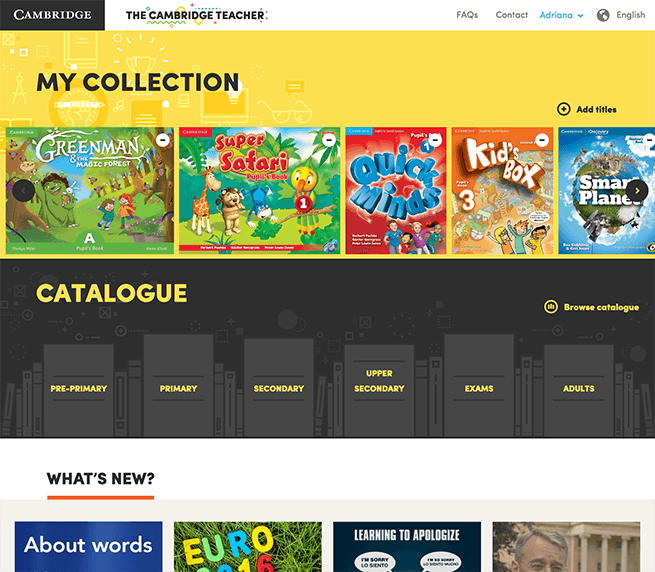 Are you ready to become a Cambridge Teacher? 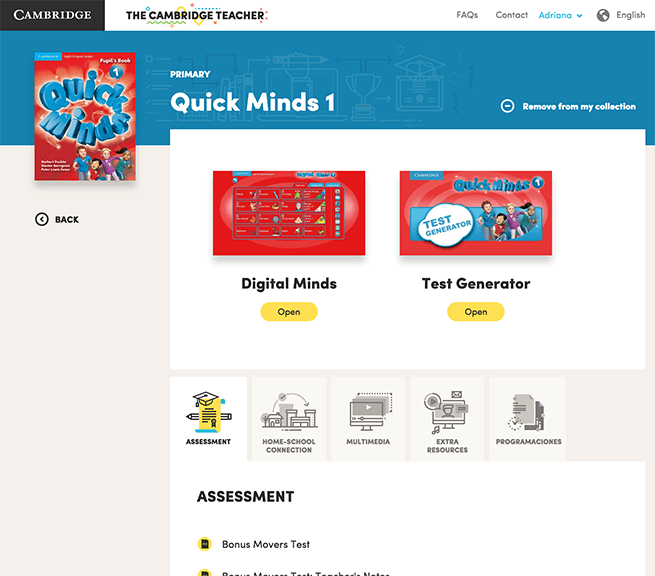 The Cambridge Teacher works best on computers and tablets. Please log in from another device to register for access to all the digital products and resources linked to your Cambridge courses.